Duke Ellington on "American music". 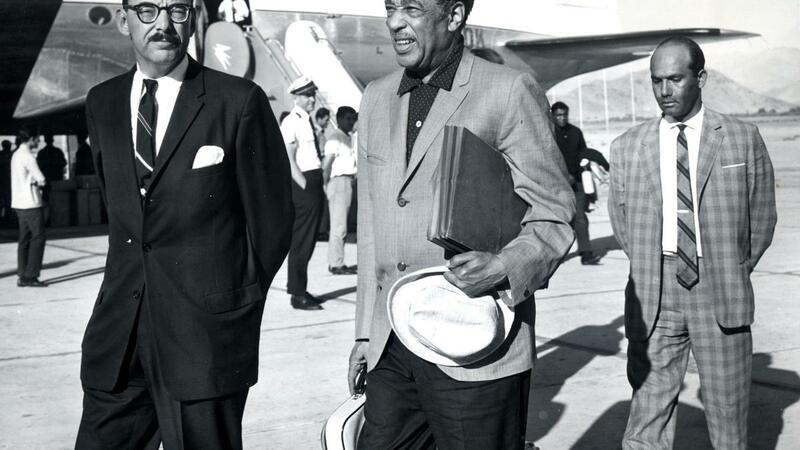 The Cold War and civil rights collide in this remarkable story of music, diplomacy and race. Beginning in 1955, when America asked its greatest jazz artists to travel the world as cultural ambassadors, Louis Armstrong, Dizzy Gillespie, Duke Ellington and their racially diverse band members faced a painful dilemma: How could they represent a country that still practiced Jim Crow segregation?